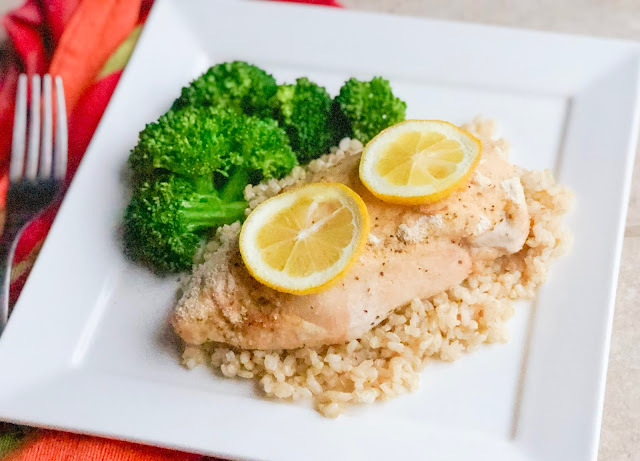 This baked lemon chicken recipe is perfectly juicy and tender, easy to make, and full of the best fresh lemony flavor. Dinner doesn't have to be complicated. This dish comes together in no time! 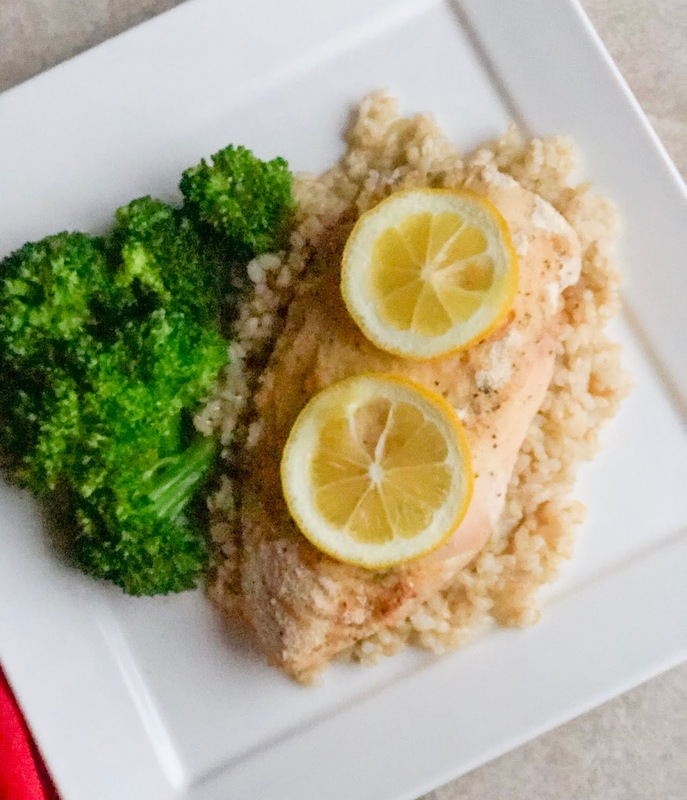 It's fresh and healthy, and it's made with lemons, lemon pepper, and garlic powder. Minimal ingredients, big bold flavor. Make it with me! 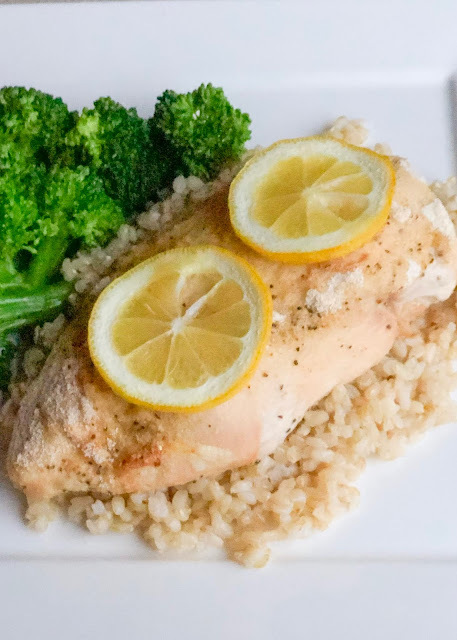 Lemon is such a great flavor compliment to chicken! 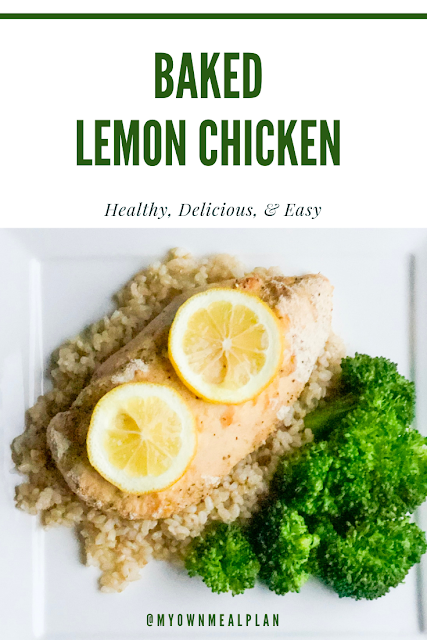 I love using fresh lemon in this recipe! I wanted this dish to be simple and easy enough for anyone to throw together on any night. I think I have achieved just that! One dish, less than 10 ingredients, and it's ready in under an hour. 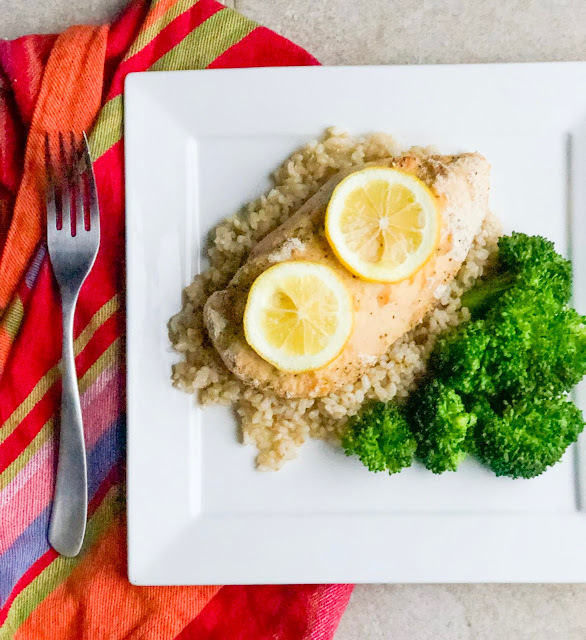 Less than 400 calories per serving makes this dish healthy and delicious! It's even macro friendly! Season the chicken breasts with lemon pepper, seasoning salt, garlic powder, and paprika. Place chicken in a 9x13 glass baking dish. Drizzle with olive oil and squeeze lemon juice over chicken. Bake chicken for 40 minutes. When cooking time is up, remove the chicken and top with two slices of lemon on each breast. Place chicken back in the oven and bake for an additional 10 minutes, or until the center of the breasts reach 165 degrees. When finished, serve over 1/2 cup brown rice with a 1/2 cup steamed broccoli.